Story of Origin of Solah Shringar - Names of 16 Adornments of Hindu Woman - What Items Are Part of Solah Shringar List? Solah Shringar is the sixteen love charms worn by Hindu women. 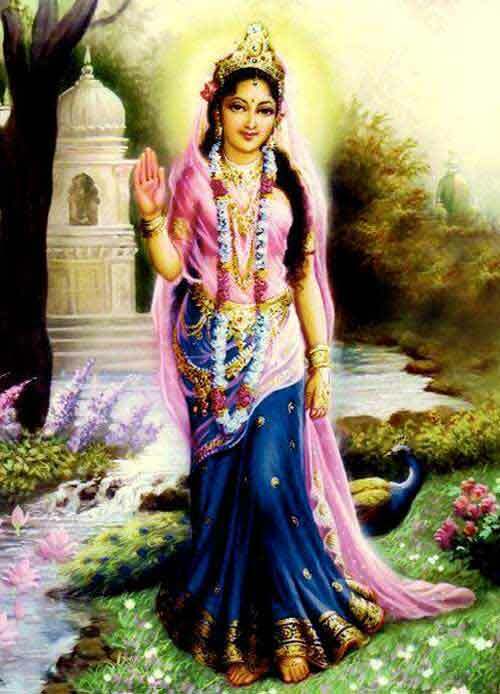 The story of origin of Solah Shringar is associated with Rati, wife of Kamdev. It is believed that she was blessed with 16 adornments by Goddess Lakshmi. A woman in order to attract her lover resorted to solah shringar in various parts of the body after this incident. This article also provides below the names of 16 Adornments of Hindu Woman. The items that are part of Solah Shringar varies from region to region. Rati was a not so beautiful girl. Men did not find her attractive. This saddened her. She then performed intense austerities to please Goddess Lakshmi. 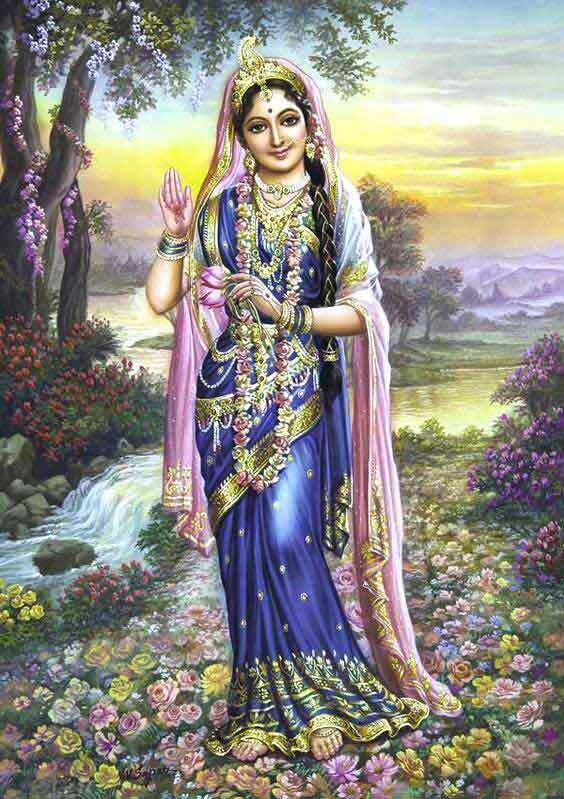 Pleased with the devotion of Rati, Goddess Lakshmi blessed her with Solah Shringar. Goddess Lakshmi told Rati that whoever bedecks her body with solah shringar will enchant her man and there will be prosperity in her household. With the help of Solah Shringar, Rati became of the wife of Kamdev, the most handsome man in the universe. Solah Shringar is an important aspect of Hindu marriages especially in North India. It is related to the 64 fine arts women of ancient India learned. There are no single list of Solah Shringar. Ancient texts give different lists. The list might differ but the objective is clear that the woman should look her best, beautiful, well turned out and fragrant to attract her lover. She should be irresistible to her lover. What Items Are Part of Solah Shringar? Another famous list is found in the Ujjawal-Neetmani written in the 15th century by Roop Goswami. This list is mostly influenced by the Raas Leela of Bhagavan Sri Krishna.